Microsoft has confirmed that soon Oculus Rift owners will be able to stream their Xbox One game library to the VR headset. 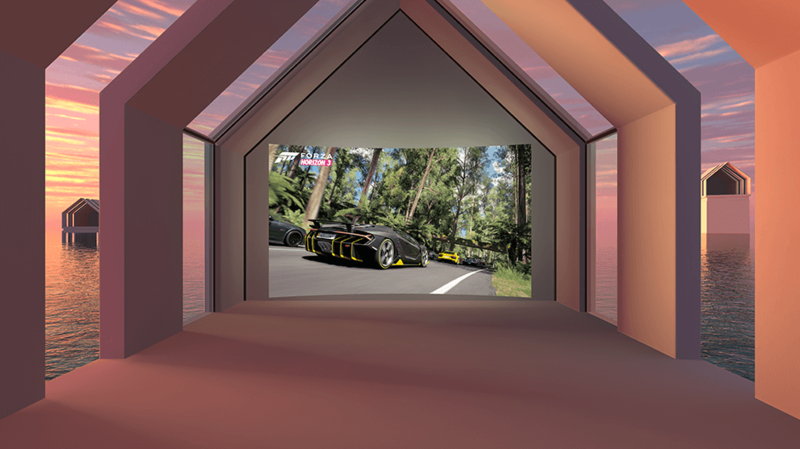 The feature arrives as a free update to the Oculus Rift PC app on December 12. Before you get too excited, this doesn’t mean you games will be ported over to virtual reality, but rather that you will be able to play them in a massive virtual display inside the headset. According to a post on Xbox.com, the Xbox One Streaming to Oculus Rift app connects the two devices via a home network. The Xbox One's video output is streamed to the Rift headset and "projected onto a massive screen in your choice of one of three immersive environments: Citadel, Retreat, and Dome." This is similar to how Netflix currently works and aside from letting you enjoy your favorite titles in a larger screen than you can fit at home, it will also be useful for playing games privately. Microsoft says the app will work with any of your Windows 10 or Xbox One streamable titles like Gears of War 4 and Forza Horizon 3, with the platform’s “biggest sports games, indie darlings, Backward Compatible Xbox 360 games, and more titles coming in 2017." This new app is part of Microsoft's ongoing partnership with Oculus that includes native support for the Rift in Windows 10 as well as shipping its wireless controllers with the headset. Microsoft is also pressing ahead with its own Project Scorpio console plans and should share more on its VR efforts next year.